Went for a walk along the East River this morning and took a quilt along. The fall leaves were stunningly beautiful. Wishing all a Happy Thanksgiving Day. 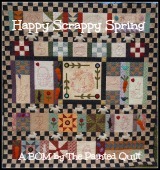 Gorgeous quilt and pictures! Love living in Nova Scotia with these autumn colours! Beautiful photos Frances , love your quilt ! Pictures and quilt are lovely!